Did you have one of these speedos on your bike when you were young? 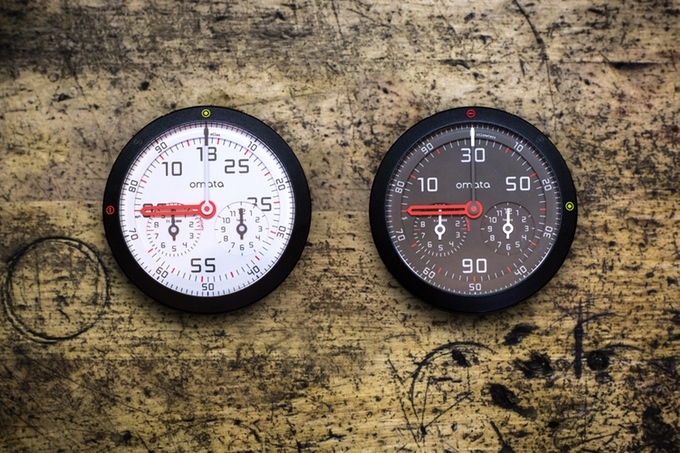 Well, you're all grown up now and you deserve to have one of these....an OMATA analogue GPS cycling speedo. 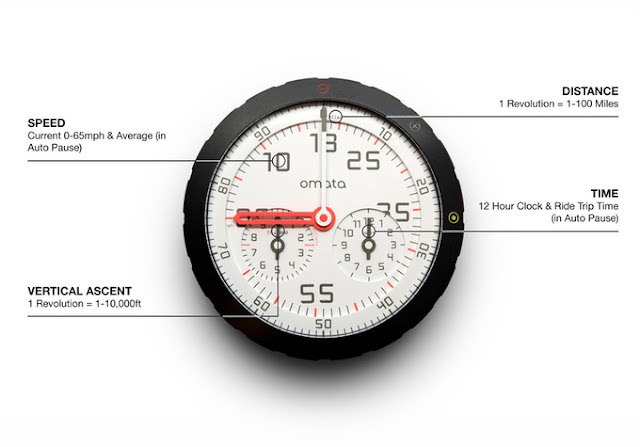 The OMATA analogue cycling speedo is a modern twist on the old analogue bike speedo. It has the ultra modern convenience of capturing all the digital data you will need and at the same time compliment your ride with its stylish good looks. 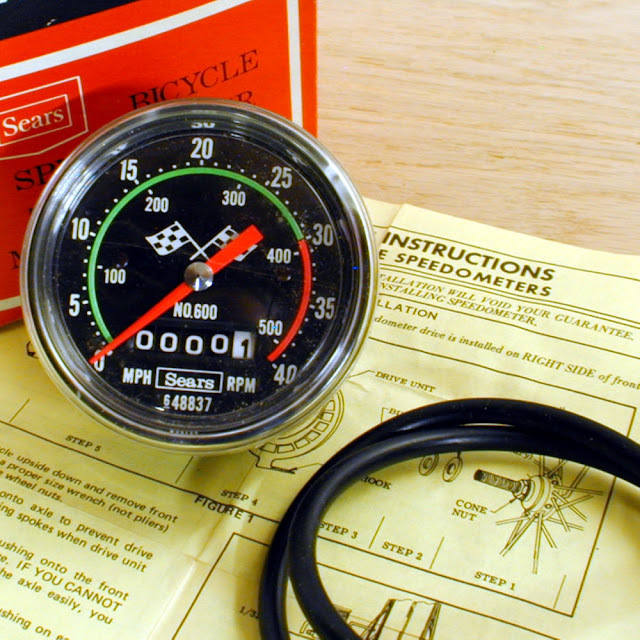 The speedo will look great on a modern bike and will also compliment any retro road bike. The team who created the speedo are avid cyclists who have focused their efforts on creating a quality retro product that provides all the digital information that the modern cyclist would expect. From what I have read there has been no compromise in its development. 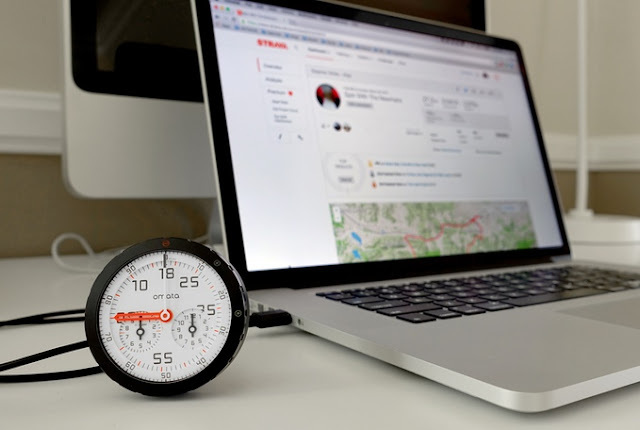 The design of the product has been finalised and they've commenced raising funds through a Kickstarter crowdfunding campaign. The speedos will come in your choice of two colours pictured above, and both colours have the option of either imperial (miles) or metric (kilometres) measurements. As with conventional digital speedos, your data can be downloaded after your ride, but really....have you ever seen a digital speedo that looks as good as this! 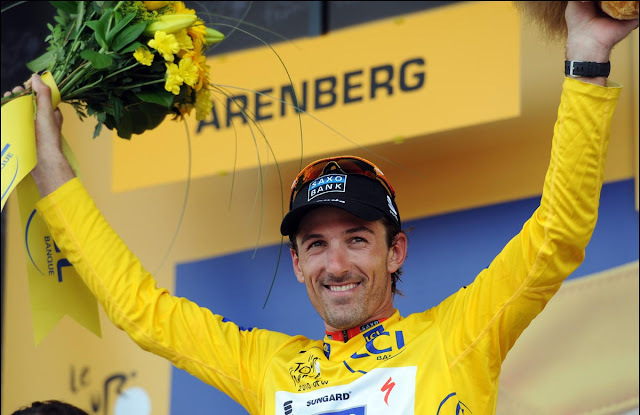 For a $3000 pledge 20 lucky investors will receive a Limited Edition OMATA speedo that includes a once-in-a-lifetime opportunity to ride the roads of the Santa Monica Mountains (California) with the brand ambassador and cycling legend Fabian Cancellara, along with the founders of OMATA. ..and as with all Kickstarter campaigns your pledges are only actioned if the target fundraising amount is realised. At this stage I've only committed to a $40 pledge but I'm certainly considering the next step! I have found that modern cycling computers are not only ugly, most are very complicated to use. 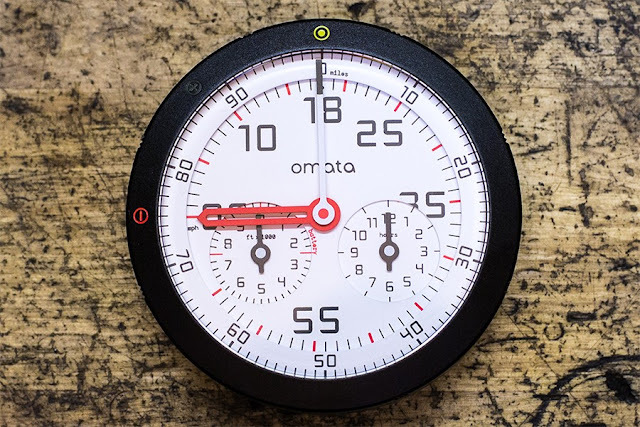 The OMATA speedo is a stylish easy to use speedo that has all of the modern desirable features. 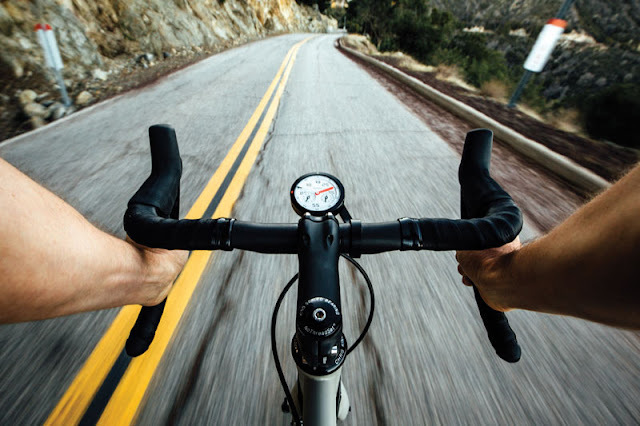 To quote one of the creators of the OMATA speedo, "The more you leave out makes it a better product!" Well worth a look....and if you would like to, please help them along.